U Digital Content Private Ltd, which owns yet to be launched digital media brand Arre, has acquired Apalya Technologies Pvt Ltd in an all-cash deal. The acquisition provides Arre access to Apalya's online video streaming products including myplex and Mobile TV. The transaction will be effected via a 100 per cent buyout of shares from all investors including IDG Ventures, Kalaari Capital, Cisco, Mumbai Angels and the founders, Vamshi Reddy and Shiva Bayyapunedi, amongst others. The technology firm has been acquired for Rs 20-25 crore (about $3 million to $3.7 million), a person close to U Digital and privy to the acquisition said. He did not want to be named. Apalya runs its over-the-top (OTT) platforms, myplex and Mobile TV, in partnership with more than 10 mobile operators across four countries, including Sri Lanka and Indonesia. Its platforms have a combined annual subscriber base of 10 million with an annual revenue of Rs 40 crore, a company statement said. It also has plans to launch its services in the Middle East and Africa and some parts of South East Asia in the next six months. Apalya was founded in 2005. The founders of Apalya, CEO Vamshi Reddy and chief technology officer, Shiva Bayyapunedi will be joining the founding team of Arré with immediate effect. U Digital was founded in December 2012 by founder of UTV Software Communications and former managing director of Disney UTV India Ronnie Screwvala, along with B. Saikumar, former group CEO of Network18 and Ajay Chacko, former COO of Network18 and president, A+E Networks/TV18. 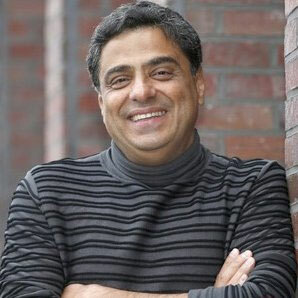 Screwvala went on to sell UTV Software to The Walt Disney Company in 2013. U Digital announced the formation of Arre in July this year. The platform is expected to be launched by February next year. In 2013, Hyderabad-based Apalya had raised an undisclosed amount from Cisco Technologies and existing investors IndoUS Venture Partners (later rebranded as Kalaari Capital), Qualcomm and IDG Ventures. In 2009, IDG Ventures and Qualcomm Ventures had invested $3 million in Apalya.